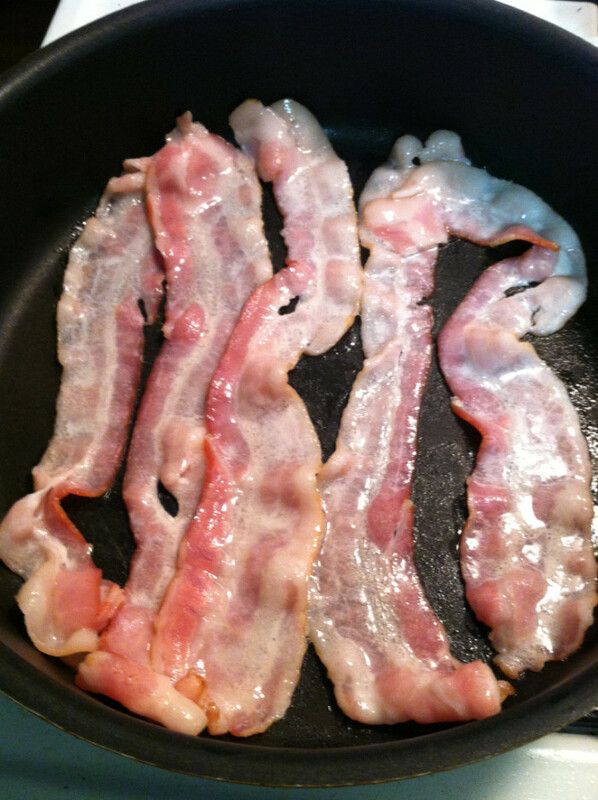 Step 1: Fry up some bacon. Make sure you get it nice and crispy, but not burnt. I just went with regular hickory smoked bacon because I’ve never baked with Bacon before I wasn’t sure how applewood smoked or honey maple flavors would mix in, so I stuck to the basics, but maybe I’ll experiment next time. Always be sure to let the bacon sit on paper towels to drain the excess fat. Step 2: Preheat oven to 350 degrees. 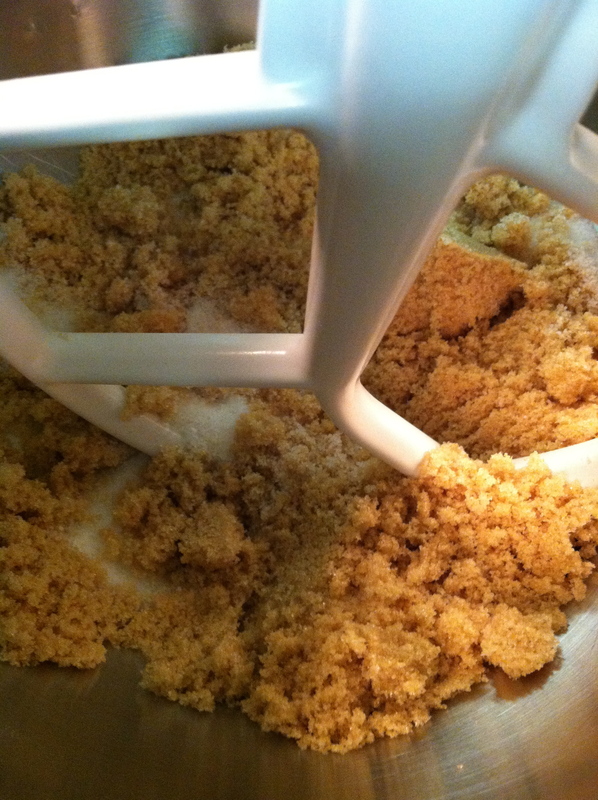 In the mixer, mix together the brown sugar and white sugar. 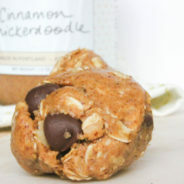 Step 3: Add in one cup of creamy peanut butter. 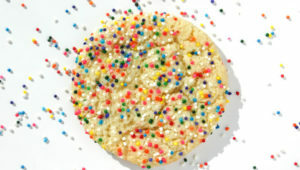 Don’t use the all natural kind because it’s too oily and won’t get the dough to the right consistency. 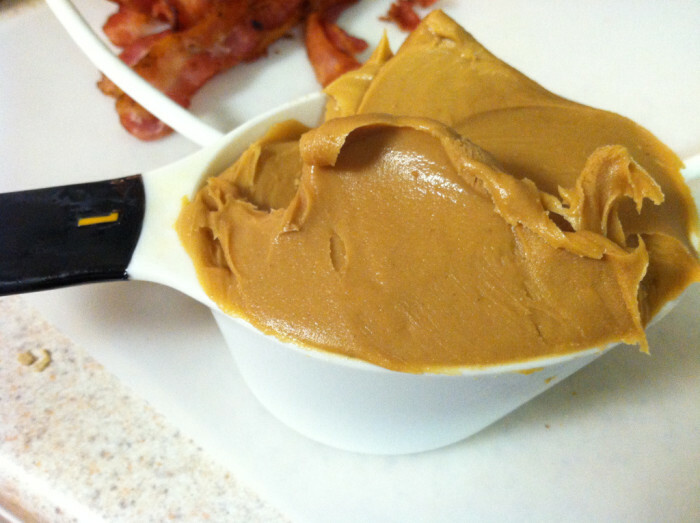 Also a helpful tip when dealing with peanut butter, spray the measuring cup first with some nonstick spray and that will help the peanut butter get out of the cup later on. 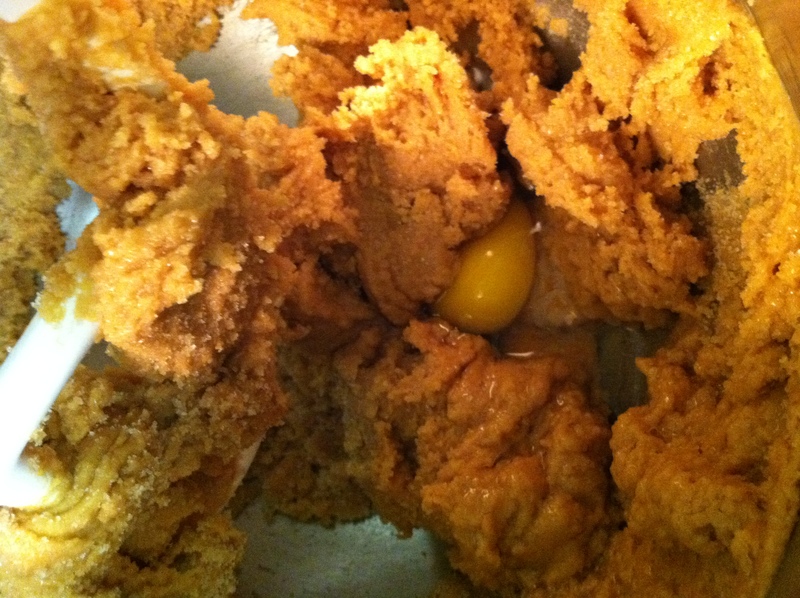 Step 4: Add in baking soda and egg and mix well for about two minutes. 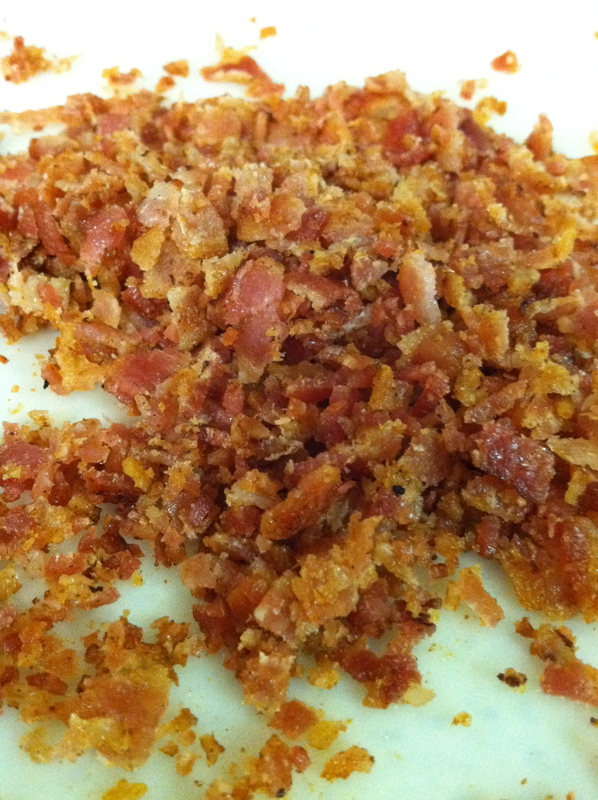 Step 5: Chop the crispy bacon into small pieces and add to the mixture. Beat for about a minute. 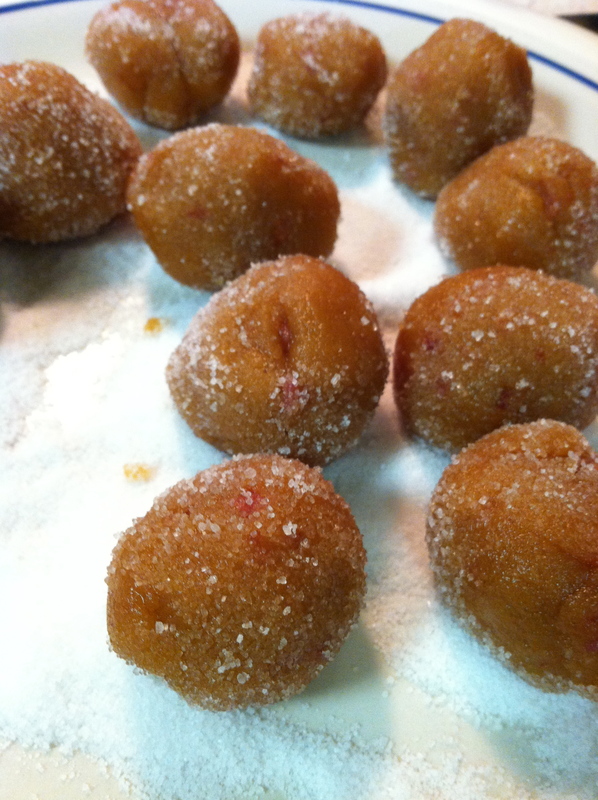 Step 6: Roll the dough into teaspoon-size balls. 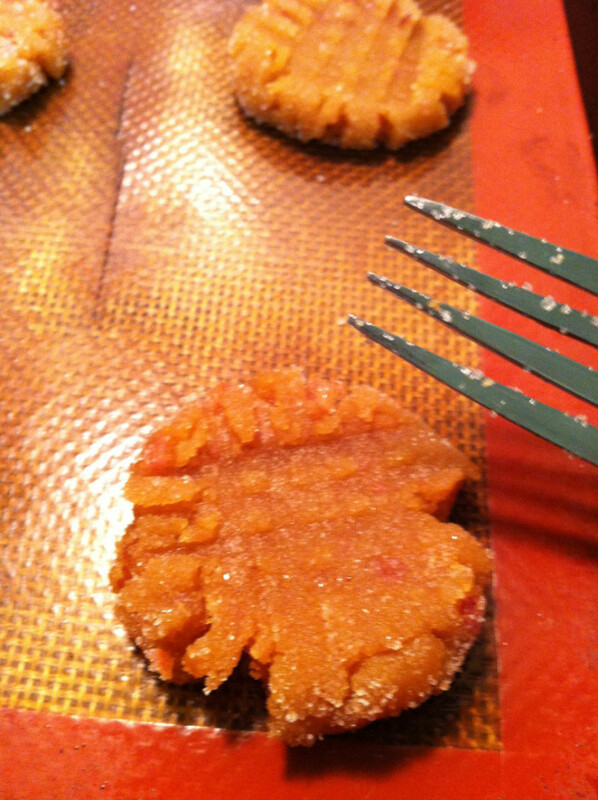 Again, I use the melon scooper for even cookies. 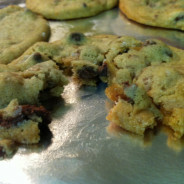 The dough will feel a bit oily compared to normal chocolate chip cookie dough. 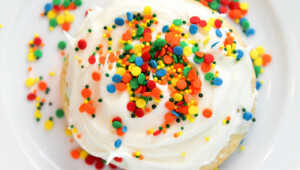 This next step is optional, but adds a nice sweetness. 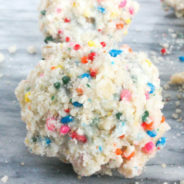 Roll the cookie dough balls in the sugar and then put on a parchment lined cookie sheet. 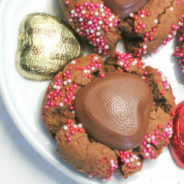 Step 7: Using a fork, press the cookies in a criss-cross pattern. So there you have it. 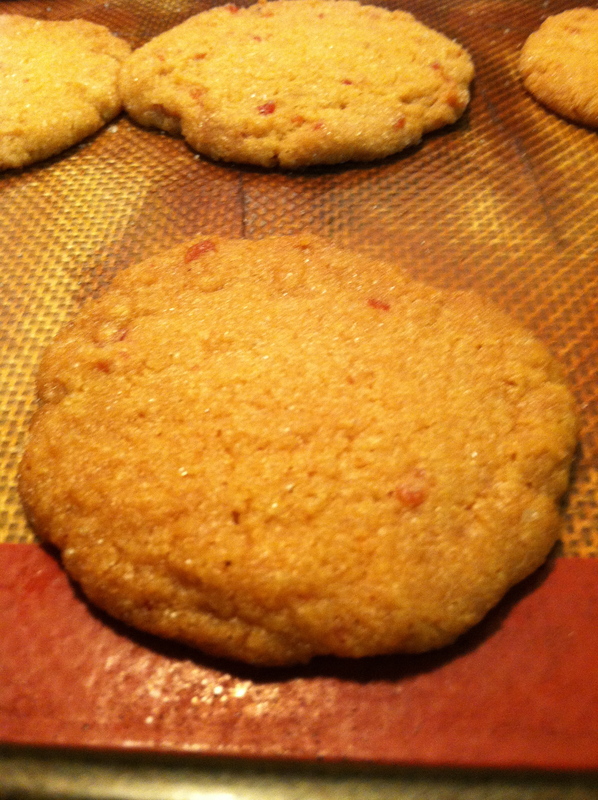 My first baking with bacon adventure. And gluten free for you mom. 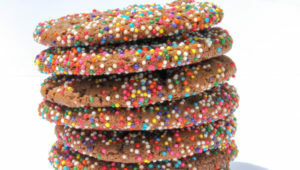 Your nut-allergy brother doesn’t like bacon and wouldn’t touch these cookies with a ten foot pole.